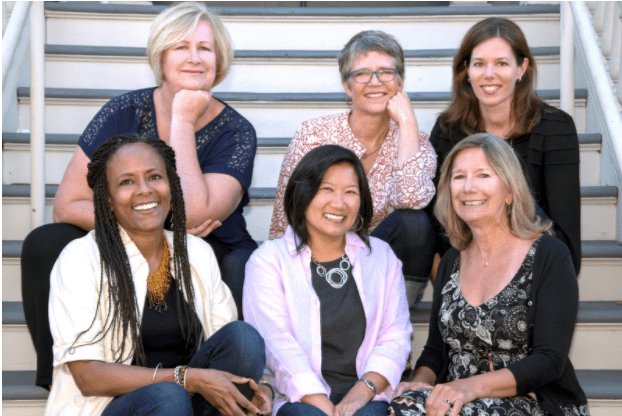 Social Venture Institute (SVI) Women offers the mission-based entrepreneur an opportunity to share challenges, successes, and experiences with peers in an atmosphere of trust and goodwill. Each attendee brings a commitment of social change to their enterprise, whether a for-profit business or a non-profit organization. Since 1997, SVI has provided over 3,000 entrepreneurs the opportunity to strengthen their business skills, network with other social enterprise leaders, and rejuvenate their passion and vision. SVI Women builds upon the success of SVI Hollyhock and will provide the essential practical skills and a supportive environment while giving attendees the opportunity to grow an intimate network of other women business leaders. We invite you to take advantage of this opportunity to fine tune business strategies, learn best practices for solving problems and build long lasting relationships with business peers and mentors. We welcome all women including trans-women and people whose gender is non-binary. This an invitational event that will fill quickly. SVI Women Bay Area 2019 takes place Wednesday, April 10-Friday, April 12. Registration for the conference is $550 and does not include accommodations. The format of SVI Women is highly interactive and experiential. Participants present their business problems to a panel of experienced business leaders and fellow participants. In return, they receive advice, tools, and resources to strengthen and grow their enterprise in a socially conscious way. Based on evaluations and testimonials, participants uniformly reflect that SVI is one of the best investments they’ve made in growing their social purpose enterprises. Take time out from working IN the business to allow yourself to work ON the business.